When I tweeted about my dislike for supernovas and preference for supernovae some replied that English words should have English plurals so that supernovas was preferred (although I wonder if that logic extends to, e.g. datums and phenomenons). 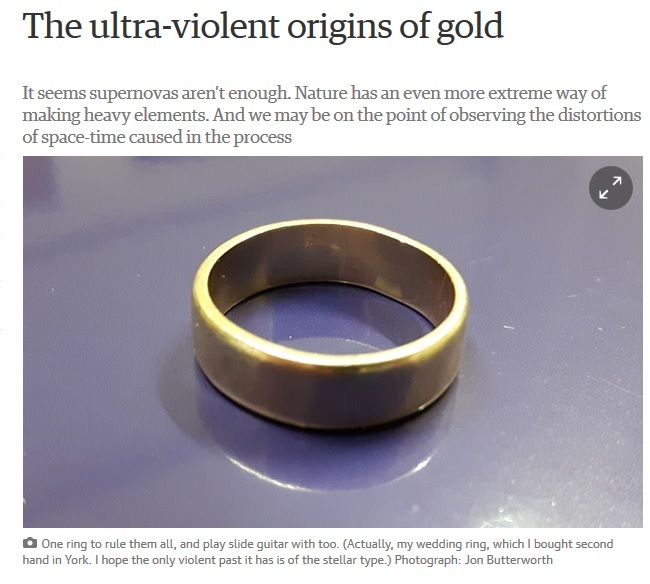 Others said that supernovae was fine among experts but for science communication purposes it was better to say “supernovas” as this more obviously means “more than one supernova”. That’s a reasonable argument, but I have to admit I find it a little condescending to assume that an audience can cope with the idea of a massive star exploding as a consequence of gravitational collapse but be utterly bewildered by a straightforward latin plural. One of the reasons I prefer the Latin plural – along with some other forms that may appear archaic, e.g. Nebulae – is that Astronomy is unique among sciences for having such a long history. Many astronomical terms derive from very ancient sources and in my view we should celebrate this fact because it’s part of the subject’s fascination. That’s just my opinion, of course. You are welcome to disagree with that too. 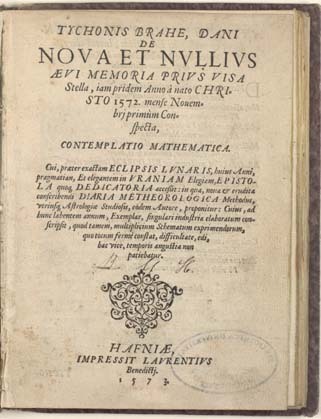 Nowadays a nova is taken to be a much lower budget feature than a supernova but the “nova” described in Tycho’s book was was actually a supernova, SN1572 which he, along with many others, had observed the previous year. Historical novae were very often supernovae, in fact, because they are much brighter than mere novae. The real difference between these two classes of object wasn’t understood until the 20th Century, however, which is why the term supernova was coined much later than nova. The use of the ligature æ arose in Mediaeval Latin (or should I say Mediæval?). In fact if you look at the frontispiece of the Brahe book shown above you will see a number of examples of it in its upper-case form Æ. I’m by no means an expert in such things but my guess is that the use of such ligatures in printed works was favoured simply to speed up the typesetting process – which was very primitive – by allowing the compositor to use a single piece of type to set two characters. However, it does appear in handwritten documents e.g. in Old English, long before printing was invented so easier typesetting doesn’t explain it all. Use of the specific ligature in question caught on particularly well in Scandinavia where it eventually became promoted to a letter in its own right (“aesc”) and is listed as a separate vowel in the modern Danish and Norwegian alphabets. Early word-processing and computer typesetting software generally couldn’t render ligatures because they were just too complicated, so their use fell out of favour in the Eighties, though there are significant exceptions to this rule. Latex, for example, always allowed ligatures to be created quite easily. Software – even Microsoft Word – is much more sophisticated than it used to be, so it’s now not so much of a problem to use ligatures in digital text. Maybe they will make a comeback! Anyway, the use of æ was optional even in Mediaeval Latin so I don’t think it can be argued that supernovæ is really more correct than supernovae, though to go back to a point I made earlier, I do admit that a rambling discussion of ligatures and diphthongs would not add much to a public lecture on exploding stars.